It's Greek yogurt, see. It's Greeker than regular yogurt. Eat it. You love it. All other yogurt must kneel before Greek yogurt. Zeus is now intergalactic hegemon of yogurt. Oh, so you think Zeus is not real? Foolish mortal. He sprang into form 'pon Mount Olympus because yogurt willed it so. Greek yogurt. Now Starbucks will make Greek yogurt too and you will eat it in your coffee time. Mix the yogurt in the coffee. Spread the yogurt on your body. ALL HAIL ZEUS, FATHER OF GODS, BRINGER OF YOGURT. The coffee kingpin Tuesday will announce plans to strategically align with French yogurt maker Danone and create yogurt products labeled with the Starbucks-owned Evolution Fresh brand. The yogurt, dubbed "Evolution Fresh, inspired by Dannon," will be sold in Starbucks stores by 2014 and will hit major grocery stores by 2015. The first co-created product will be a ready-to-eat Greek yogurt parfait. 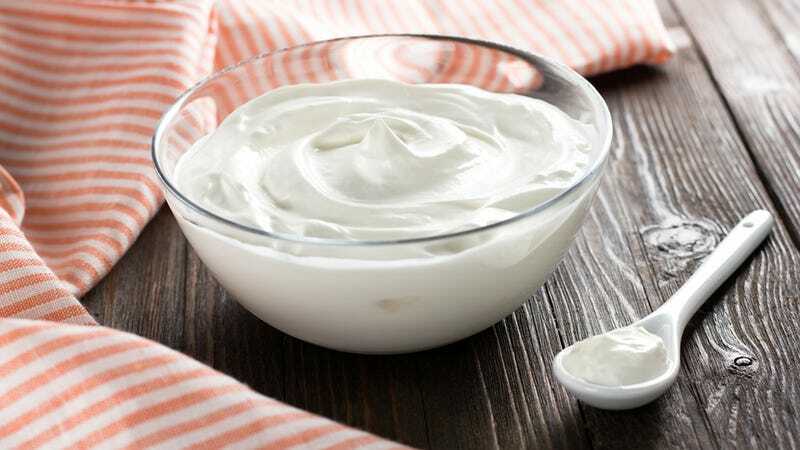 Greek yogurt is strained to remove the excess whey, giving it a higher protein content – and a thicker feel — than regular yogurt. Come on, man. Gimme the secret of them yog-bucks. Listen. I totally actually do like Greek yogurt better than other yogurt, because it is preternaturally creamy and thick and it keeps me fuller longer so I don't accidentally eat hella Otter Pops for Second Breakfast. BUT. Can we all possibly get a collective grip?